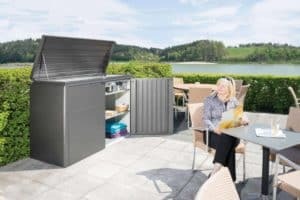 An incredible new solution for storage for those who don't have the space for a full shed or who need space on a balcony or terrace. 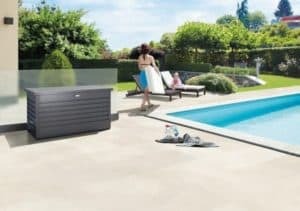 The Biohort CornerBoard is designed to allow you to use those empty corners as perfect storage spaces for your tools. Giving you even more space wherever you use it. A perfect solution to reduce clutter. 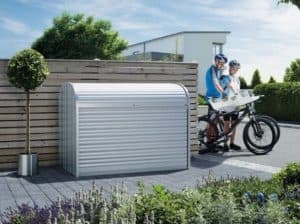 Looking for a secure way to store your bicycles and other equipment without needing planning permission? 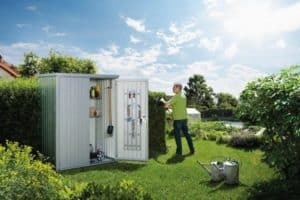 The Biohort Mini Garage is a superb solution. 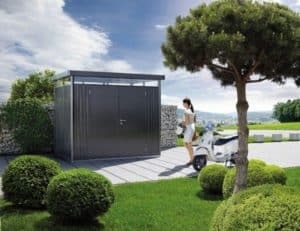 This mini-garage can securely store two bikes on its own. Or you can configure the space to allow for one bike and storage shelves. 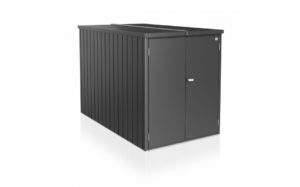 Biohort Equipment Locker Attractive and highly versatile cabinet where room is scarce, the Biohort Equipment Locker shows its class. 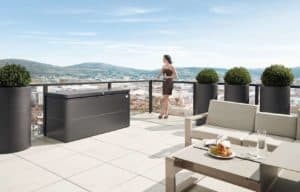 In the garden, on the terrace, in the garage or on the balcony it organises and stores your tools without restricting your living space. 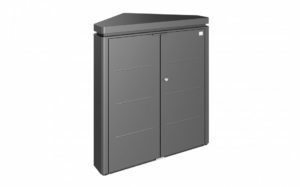 Equipment Locker in 4 standard colours: metallic silver, dark green, metallic dark-grey and metallic quartz grey. Please note that we do not have any Biohort products on display in store. However, they can be ordered here on the website or in store. Please contact The Outdoor Scene by email or phone if you require further assistance. 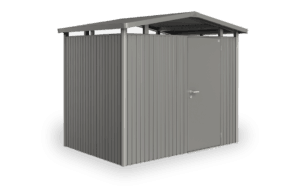 WoodStock Storage Solution The WoodStock is yet another true multi-talent from Biohort. 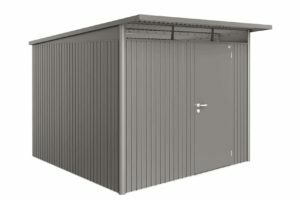 Whether it is used for firewood storage, as a lawnmower garage or as a storage solution for garden equipment. 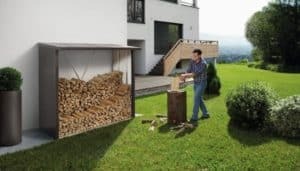 This is the first firewood storage to justifiably fulfil the claim to be regarded as modern architecture! Please note that we do not have any Biohort products on display in store. However, they can be ordered here on the website or in store. Please contact The Outdoor Scene by email or phone if you require further assistance. 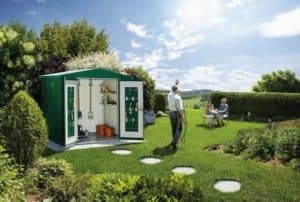 Ideal storage box to keep order in the garden. A real all-rounder. Please note that we do not have any Biohort products on display in store. However, they can be ordered here on the website or in store. Please contact The Outdoor Scene by email or phone if you require further assistance. Lounge Storage Box Please note that we do not have any Biohort products on display in store. However, they can be ordered here on the website or in store. Please contact The Outdoor Scene by email or phone if you require further assistance.